“Most people would be afraid to do this,” says Patrick Meyer, founder of Carbomill AG. 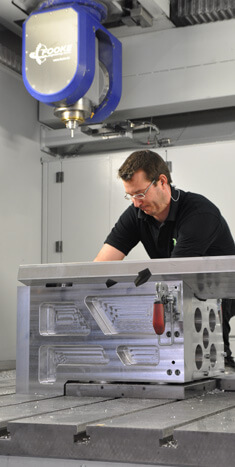 But he is not afraid of machining complex workpieces, including those made from carbon-fiber reinforced plastics. 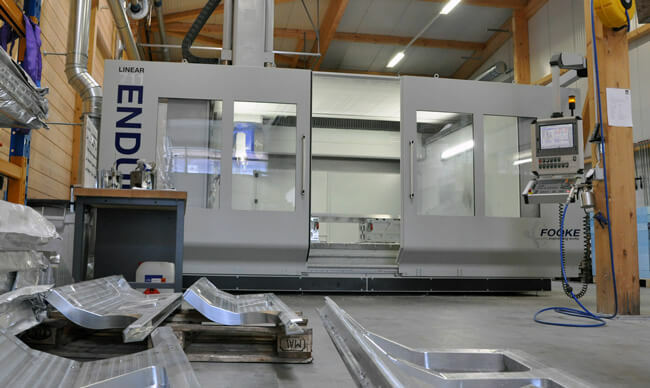 In order to deliver perfect results from the start, the young entrepreneur invested in a Fooke ENDURA 711 gantry-type milling machine, equipped with an iTNC 530 from HEIDENHAIN. His customers are very demanding, and come from motorsports and the automobile and aerospace industries. No compromises! The new company, located in Seon in the Swiss canton of Aargau, wanted to get off to a good start. 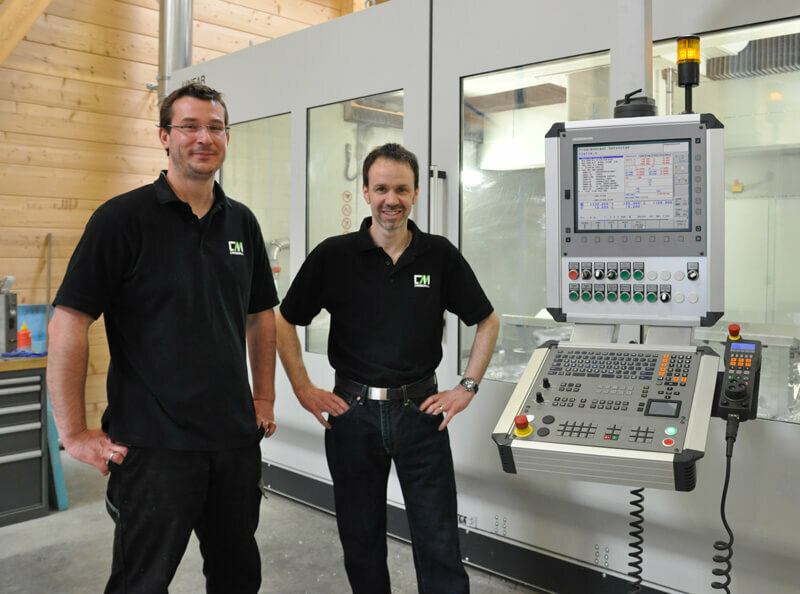 Patrick Meyer wanted to persuade his first customers with a viable concept and the optimal equipment for skilled machining of carbon-fiber workpieces. Carbomill currently machines challenging workpieces made from carbon fiber or GRP, such as chassis components and other body parts for the automobile industry and motorsports. There are also complex aluminum structural parts for aerospace projects or rail vehicles. The relationship between the speed and the surface definition and accuracy can be directly influenced with Cycle 332.
control,” says Patrick Meyer. “It is very precise, and of extreme importance for the speed.” The control is supposed to fully utilize the machine’s potential for high-speed machining, while at the same time remaining accurate down to the last hundredth. The successful initial phase was the reward for entrepreneurial bravery and well-planned activities in an up-and-coming market segment. The trend toward lightweight design, together with the use of carbon-fiber reinforced plastics, has opened up new possibilities in many branches. A significant advantage of the material, along with its low weight, is the very high tensile strength in defined directions. Good results not only require in-depth and specialized knowledge, but also lots of experience, because structured and molded parts made from composites are very difficult to machine. “You need a really fine touch here,” emphasizes Meyer. Just setting up the workpiece already requires applicable experience, and of course the cutting conditions must also be correct. Even the slightest errors during machining can rupture the fiber structure and make the workpiece unusable. Sometimes these errors are not even visible. The workpiece has to be scanned ultrasonically or with X-rays in order to detect internal damage to the structure. Patrick Meyer had already enjoyed working with controls from HEIDENHAIN during his time as department head of mechanical production at Sauber Motorsport. “HEIDENHAIN controls are very popular in Switzerland,” he states. It was obvious that the Fooke ENDURA would be equipped with an iTNC 530. The specialists from HEIDENHAIN came to his aid when it was time for interfacing the control. Patrick Meyer places a high value on the optimum interfacing of the control, in order to take full advantage of the powerful machine. Since a high degree of efficiency is extremely important to the small company, the speed, surface definition and accuracy must be optimally matched to each other, regardless of what the particular machining step is. This can be influenced via Cycle 332 of the iTNC 530, with which tolerance values and predefined filters can be selected. Patrick Meyer (right) and Markus Schwarz (left) are enthusiastic about the perfectly matched tandem of machine and iTNC. Why is this important? Because the TNC automatically smoothes the contour between any contour elements. This function is particularly important for part programs generated in CAM systems. These programs usually consist of many straightline blocks, whose contour transitions are each affected by a chord error. Especially the surface definition would suffer without smoothing, but this smoothing of the contour leads to a deviation. Depending on the chord error set in the CAD/CAM system, the operator can specify a tolerance for the deviation at the control, and define whether higher contour accuracy or a higher feed rate is more important. Machine parameters for jerk and acceleration are also adjusted according to the respective operations. chips flying while you’re writing the programs,” says the director, and is convinced that you need a special mindset when working with carbon fiber. Other possible optimizations are also in sight: “We are always trying to figure out how to implement as many HEIDENHAIN cycles as possible, including those that don’t even exist in the CAD/CAM system.” You can feel his pleasure in continually looking for improvements and new solutions. Carbomill also doesn’t want to lose any time when setting up workpieces, so an integrated fixture system is used for most operations. Whenever possible, the necessary studs remain on the workpiece, in order to perform later machining steps very quickly and accurately. This saves a large amount of time during serial production, since setting up the next workpiece then only takes a couple of minutes. 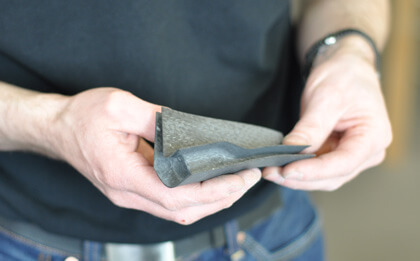 Delicate workpieces made from carbon fiber and reinforced plastics for motorsports. The iTNC 530 contributes its share in optimizing efficiency during setup and machining of workpieces. This is ensured by simple operation, practical functions for workpiece setup, and high-precision contour control during HSC milling. Carbomill considers the sum of these properties to be a significant advantage for economic manufacturing. 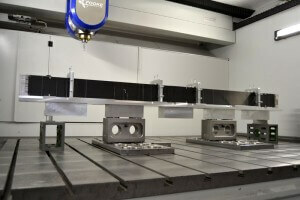 The 5-axis gantry-type milling machine and the control, which are optimally adapted to each other, make it possible to machine large and heavy workpieces as well as to economically produce small and delicate parts. As you can expect, the variety of workpieces is quite large: the dimensions vary from dish-sized carbon components used on the race course to aluminum structural components several meters long for rail vehicles. 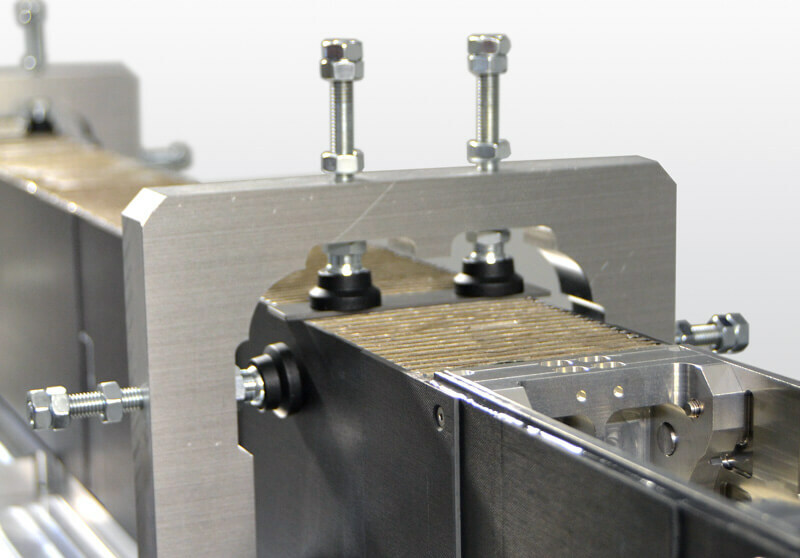 The workpieces used in aerospace projects are particularly demanding challenges. Carbomill manufactures highly complex components for satellite structures ordered by renowned aerospace companies. Errors or inaccuracies during machining cannot be accepted by the customers, since the failure of such a part could endanger the entire project. The Fooke ENDURA 711 fills the startup’s hall. The integrated fixture system dramatically reduces idle machine times. Accuracy during workpiece machining is of exceptional importance at Carbomill. KinematicsOpt is therefore used to ensure the continuously high accuracy of rotary and swivel axes. Recalibration only takes several minutes, and corrects the kinematics model stored in the control. Since Carbomill machines a large number of very different workpieces, reliable collision monitoring is a must. This is where the DCM option comes into play: in order to avoid collisions within the machine’s work envelope, the control stops the machining process if a crash is imminent. This works reliably since the TNC takes all actual values, including tool compensations and reference points, into account. DCM can also be used in the manual machine operating modes. Patrick Meyer praises HEIDENHAIN as a partner who “knows what is demanded in cutting manufacturing nowadays.” There is always someone there to help you with a problem. 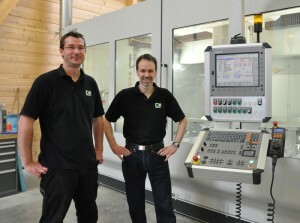 Meyer and his colleague Markus Schwarz sometimes use the HEIDENHAIN service hotline, but they also check Internet forums occasionally for solutions to specific milling problems. Looking back, the company founder considers the control to be ideally adapted to the Fooke ENDURA. He was impressed by the constructive collaboration between machine-tool builder and control manufacturer: no problems were blamed on the other party. Patrick Meyer is more than satisfied with how business has developed. He can bring his expertise to play in his own company, with perfectly attuned machines. And the numerous new customers are pleased by the results. News of Carbomill’s high level of competence with composites, as well as the unconditional dedication to deadlines, has made the rounds. In the meantime, the incoming orders have increased so much that the company is considering adding additional machinery. 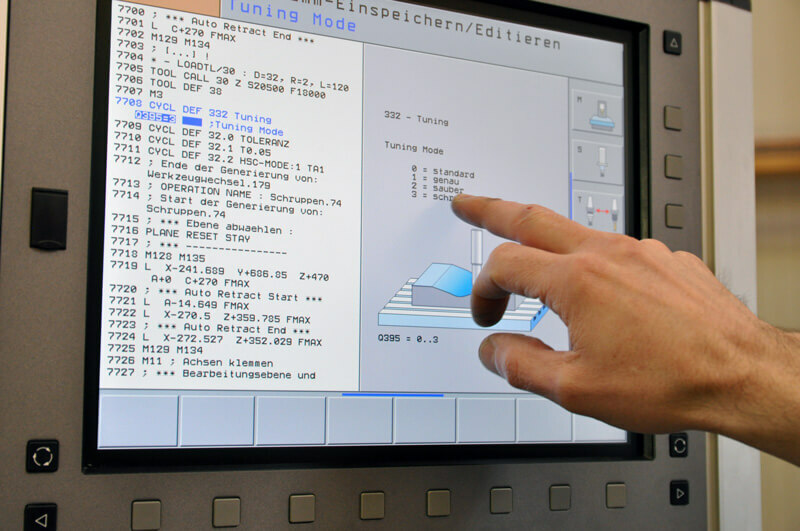 But one thing is already sure: any future machine tools will also be equipped with controls from HEIDENHAIN. Carbomill, based in Seon in the Swiss canton of Aargau, was founded by Patrick Meyer in 2011. The company specializes in machine cutting of fibercomposite materials. These materials can react sensitively to the machining process, and require specialized knowhow. Patrick Meyer and his colleague Markus Schwarz are particularly competent in the high-quality cutting of structural parts and components with complex final forms. Carbon fiber Carbon fiber is the jargon term for carbon-fiber reinforced plastic (CFRP). The production of carbon fibers is expensive and very demanding technically. The carbon fibers are typically layered (weaved) in different directions. They are then embedded as reinforcement in a plastic matrix that can consist of epoxy or thermoplastics. CFRP has a particularly high tensile strength in the direction of the fibers, and is used if a high degree of rigidity and material strength is required while keeping the weight low. Along with advanced applications in aerospace projects and automotive design, CFRP is also frequently used in gymnastics equipment, and even in construction. This cutting machining requires specialized knowledge, since the structures in the material can become damaged as the result of inappropriate handling. It must also be noted that the dust from the carbon fibers is electrically conductive, and can damage the electrical parts of a machine.